We litigate some of the toughest, largest, most complex financial cases in the country. Our goal is simple: to deliver optimum results for our clients. 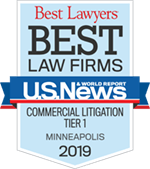 Briol & Benson, PLLC currently represents nine Minnesota counties in litigation concerning the opioid crisis that has severely plagued the country over the last decade. These counties represent 37% of the population of the state of Minnesota. Attorney Mark Briol has always been a fighter. At age 19, he was an aspiring professional boxer and the Welterweight Champion for the City of Minneapolis. Watch his 1973 bout with Gary “the Hammer” Holmgren (2013 Minnesota Boxing Hall of Fame Inductee), in the 1973 Upper Midwest Golden Gloves Championships. 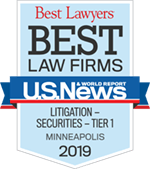 Briol & Benson prosecutes and defends some of the toughest, largest, most complex financial cases in the country. 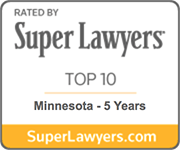 Our attorneys have tried more than 230 cases to verdict or award and have won or saved hundreds of millions of dollars for our clients. Courts are gradually clarifying the law governing internet interactions. 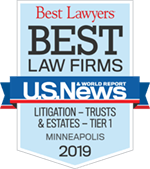 For Minnesota residents, three cases including one recent Court of Appeals decision provide guidance concerning where defamation lawsuits based on internet statements can be brought. Article by attorney Joseph Pull.